A brilliant presentation example on basic knowledge about China including its national flag, land area, economy, politics and so on. 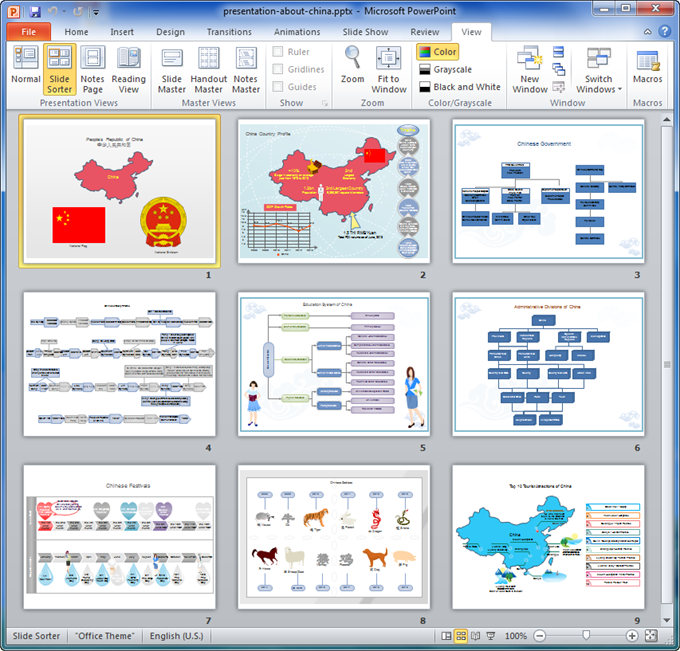 Download it for free to improve your presentation and learn China easily through infographics. This presentation example is outstanding for the highly artistic blend of color, shape and ideas. Applying org chart, timeline and clipart to design presentation is quite effective. Visual infographics in this example help you to be a great presenter by educating, inspiring and entertaining audience. These slides will surely help you deliver wow and help more people learn China better. See more details about infographics about China. To draw diagrams like those shown in the presentation, try our amazingly powerful diagramming software.